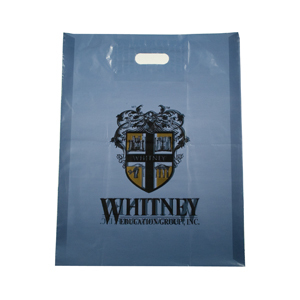 A high-quality look with a reinforced strong handle, these low-density bags have an extra reinforcement around the die cut handle. The bag is relatively inexpensive, it also allows the art on the bag to be clearly visible. It is very popular for jewelry, clothing, and small gift items.Our Patch Handle Bags are stronger than die cut handle bags. 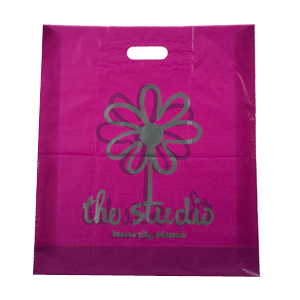 These bags have a reinforced handle that adds strength and durability for a number of uses: trade shows, book and music stores, clothing boutiques, or anywhere you need a stronger, longer lasting retail bag! Custom artwork services available. 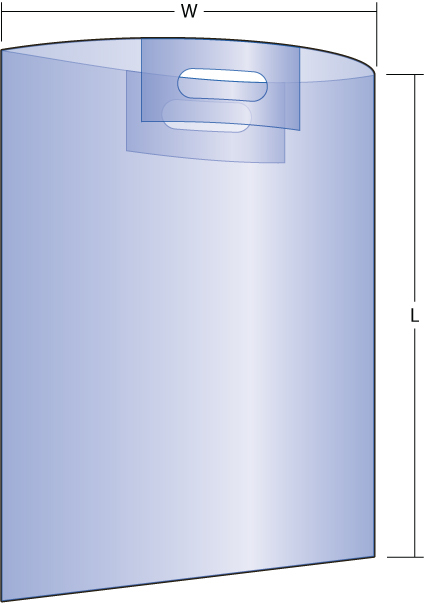 Made of durable but lightweight polyethylene. Glue Patch Handle plastic bags offer a second layer of reinforcement around the die cut handle. The glue patch handle also allows the art on the bag to be clearly visible. 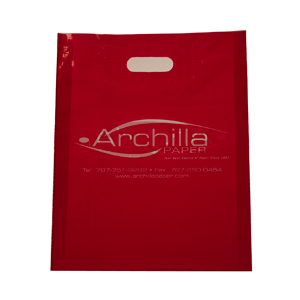 Glue Patch Handle Bags are very popular for jewelry, clothing, books, and small gift items. These low density bags are relatively inexpensive.